No laser? No worry. Go public. 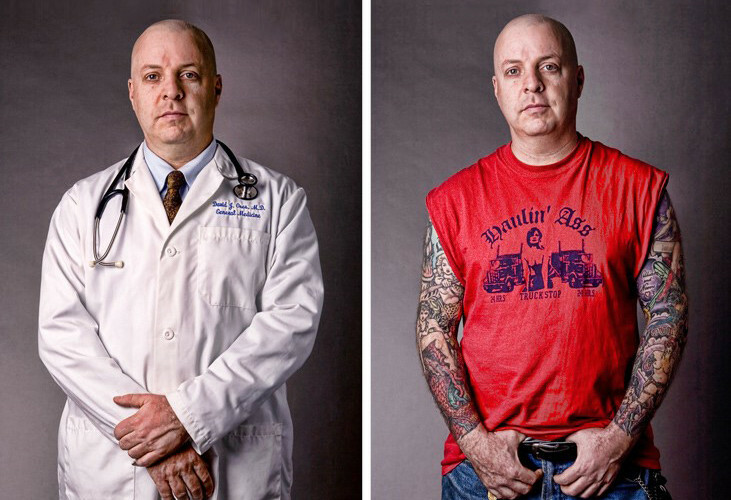 As the founder of Fresh Start, a not-for-profit organization that helps the previously incarcerated transition back into society, Dr. David Ores — a.k.a Dr. Dave to his patients on the Lower East Side of Manhattan — is set on offering free tattoo removal services to thousands of former inmates across the country. The origins of Fresh Start date back to 2004, when responding to the demands of his East Village general practice, Ores acquired a laser machine that could remove the seemingly endless unwanted tattoos his patients kept bringing to him. “Most of these people felt their tattoos were negatively affecting their careers,” says Ores, a heavily inked man himself. With time, however, the vast majority of his tattoo removal clientele became neighborhood people burdened with gang and prison tattoos from their past. Recognizing this particular clientele didn’t always have much by way of resources, a sympathetic Ores started removing their tattoos free of charge. Regardless of how you personally feel about individuals who run afoul of the law, remember that it costs roughly $60k a year to keep a person in jail. The United States has by far the greatest prison population in the world, with 200,000 people discharged from jails around the country every month. As Ores points out, statistics show that 90 percent of those who leave prison but fail to find steady work afterward will be back in jail within two years, whereas the rate of recidivism is practically zero for those that do find solid employment. For taxpayers or anyone concerned about public safety in general, that’s a pretty strong incentive to support programs that help ex-cons reintegrate into society. “I didn’t have 30k lying around so I was forced to sell my laser, but that’s what got me thinking other people could provide this service as well. After all, there’s a lot of cosmetic surgeons and laser tattoo removal machines in the United States,” Ores says. The idea was to go around the country and get a couple of doctors in every state to agree to treat one or two people a week for free. Fresh Start’s immediate priority is to find a professional grant application writer and reach out to various philanthropists and foundations. “Right now I don’t even have a laser to work with, so we’re hoping one of these foundations will purchase a machine for us,” says Ores, who is confident financial support is forthcoming. For more information, go to www.freshstarttattooremoval.org. Chris Barry is a staff writer and editor for Zwivel. Chris has written stories on everything from motorcycle gangs in the Caribbean to traveling the USA with Ringo Starr. His articles have been published in such high – and sometimes low – profile publications as Vice, Maxim, The National Post, The Globe and Mail, and Saturday Night magazine.